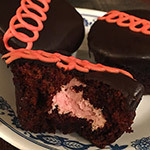 Junk Food of the Gods: February 2018 Edition! | Dinosaur Dracula! Junk Food of the Gods: February 2018 Edition! 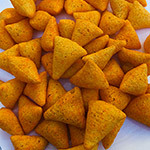 I’m trying to avoid junk food these days, but I still pay attention to it, and there are tons of seriously great snacks out there. When the world seems depressing, just remember that this same world gave us 650 varieties of Cheez-Its. Below are five things that you should be eating during moments of weakness. All are in stores now. I’ve read complaints about the flavor, but when you’ve got a package that handsome, taste is immaterial. I’m not paying three bucks for the chips — I’m paying three bucks for THAT BAG. It’s Hellraiser mixed with Hypercolor and it makes me want to paint things. 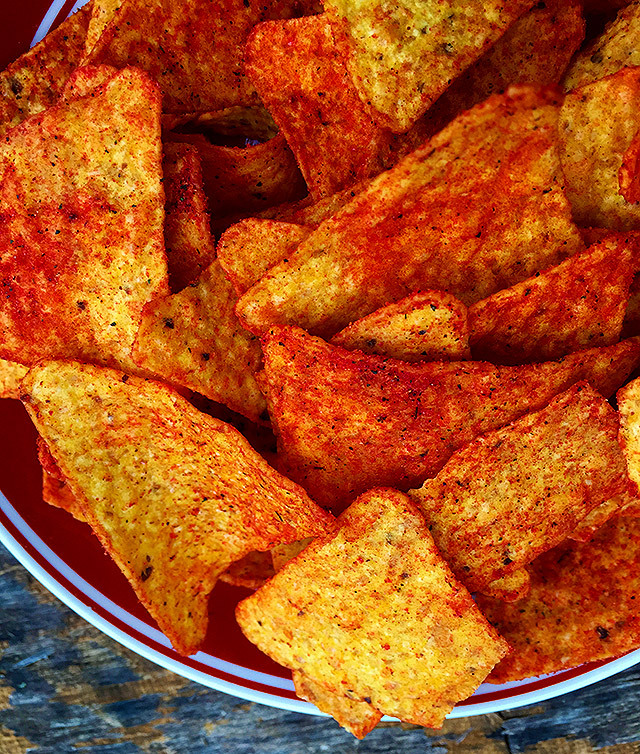 The common gripe is that while Doritos Blaze pack a ton of heat, they’re otherwise devoid of flavor. I didn’t get that impression. 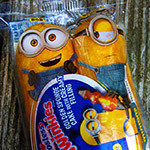 They’re damn hot by big brand junk food standards, but I still detected traces of a smoky barbecue flavor. Put it to you this way: I ate half the bag quickly enough to feel ashamed. By “half the bag” I probably mean “whole bag,” but I will never turn down a shot at plausible deniability. 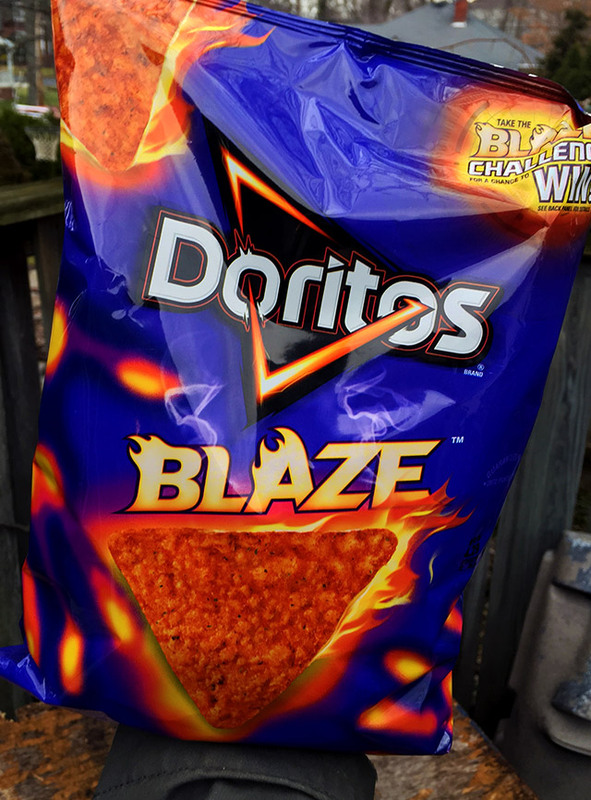 GRADE: A. They’re not the tastiest Doritos ever, but between the bag, the concept and the fact that they’re named after that little on-fire guy from Mortal Kombat II, I cannot give them a lower grade. Lucky Charms w/ Unicorn Marshmallows! 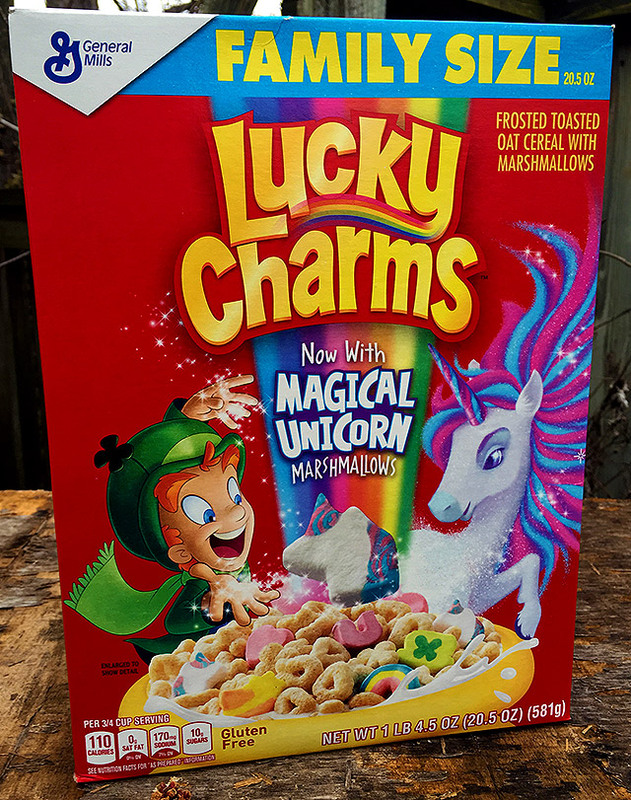 If I have the story right, these “Magical Unicorn” marshmallows are now a permanent part of Lucky Charms. Unicorns are in style, but I’m surprised they made an all-in commitment without testing the waters with some limited edition spinoff. I admire Lucky’s chutzpah. Course, even when the unicorn thing cools off, it’s not like they’re going to be less popular than horseshoes. 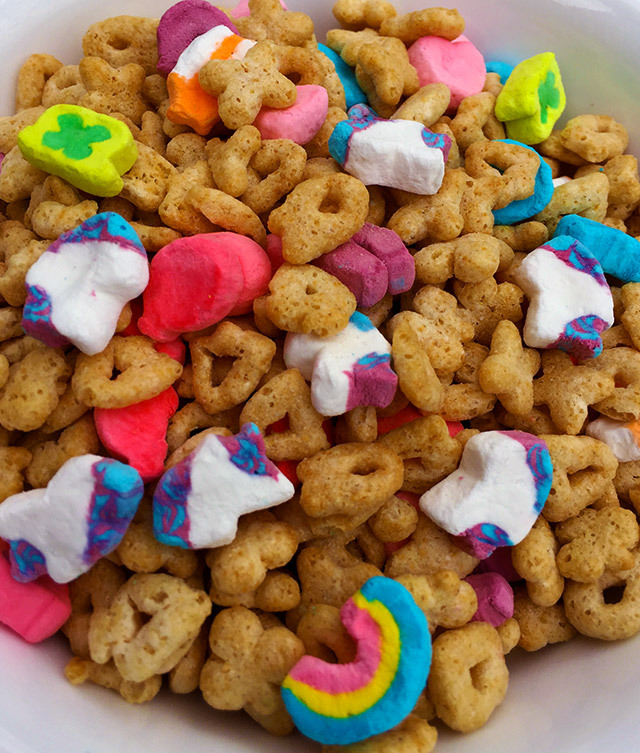 I’m totally down with forever seeing severed unicorn heads in bowls of Lucky Charms. 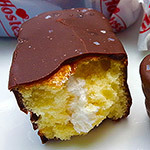 Note that the new marshmallows only sometimes resemble unicorns, and are just as likely to look like rotting sharks’ teeth, Gungan energy balls or psychedelic Pikachus. This is only a negative if you’re joyless. GRADE: A. The unicorns add so much to the presentation! Same old Pepsi, new old label. 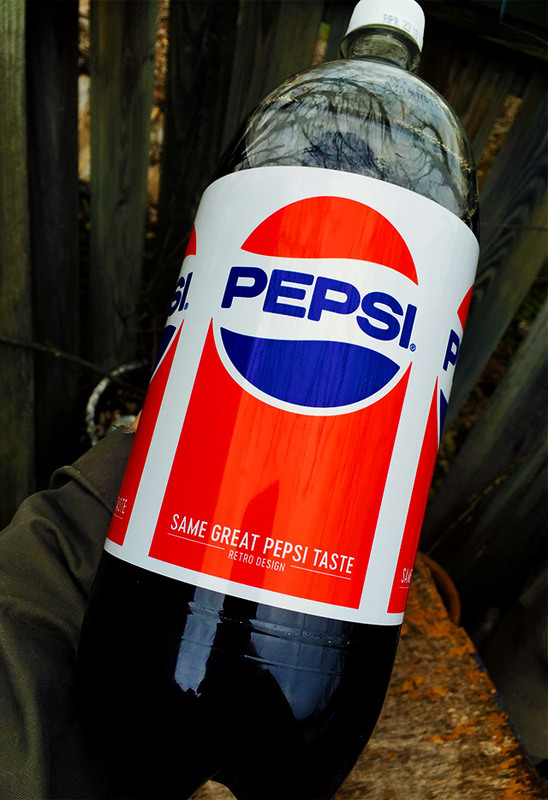 This is the design Pepsi used throughout part of the ‘70s and all of the ‘80s. If you need proof, it turned up at my family’s Christmas party in ‘86. This “retro design” will only be around for a limited time. 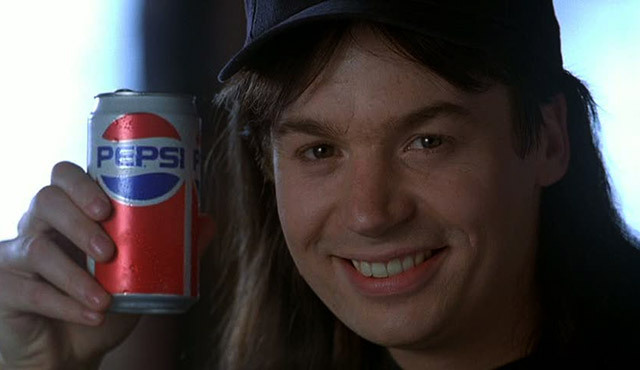 If you grew up with it, the weird thing is how it makes Pepsi taste better. At least, it does so long as you keep the bottle within your line of sight. I love psychosomatic magic, especially when it manifests around soda. 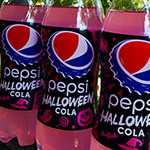 GRADE: B. I appreciate Pepsi’s restraint. The last time they did a retro release, the effects were numbed by those big tacky “THROWBACK” logos. I want you to pander to me, but don’t make it obvious. These have been around for a while, but the box says “NEW” and I’m gonna roll with it. 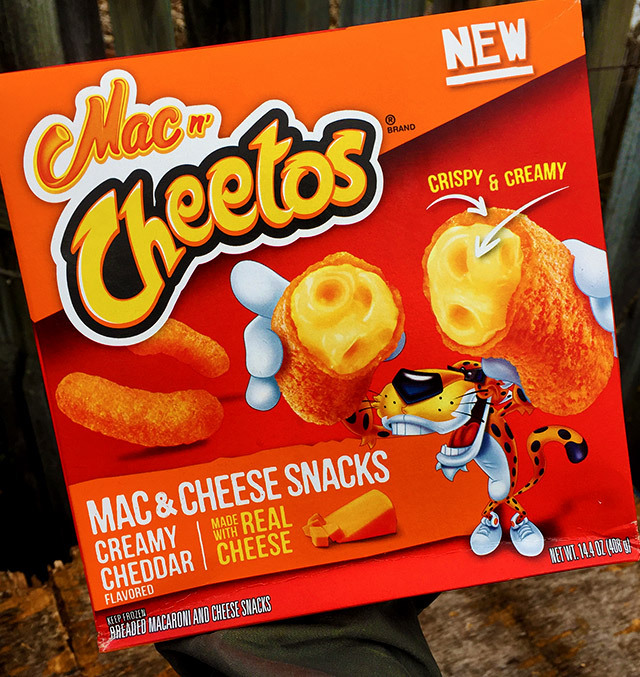 I wasn’t terribly impressed when I first heard about Mac n’ Cheetos, even despite the social media buzz. I assumed they would have a disgusting consistency, and that eating one would in some way resemble eating a snake. WRONG. 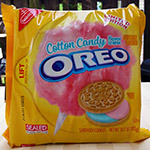 Holy Jesus, these are incredible! They don’t come off as “trash food” so much as a four-star restaurant doing an upscale take on trash food. If you cook them correctly, they’ll come out of the oven smelling like the absolute marriage of mozzarella sticks and jalapeno poppers. The “shells” will be crunchy AF, and the insides will taste exactly like secretly-awesome school cafeteria mac-and-cheese. GRADE: A. 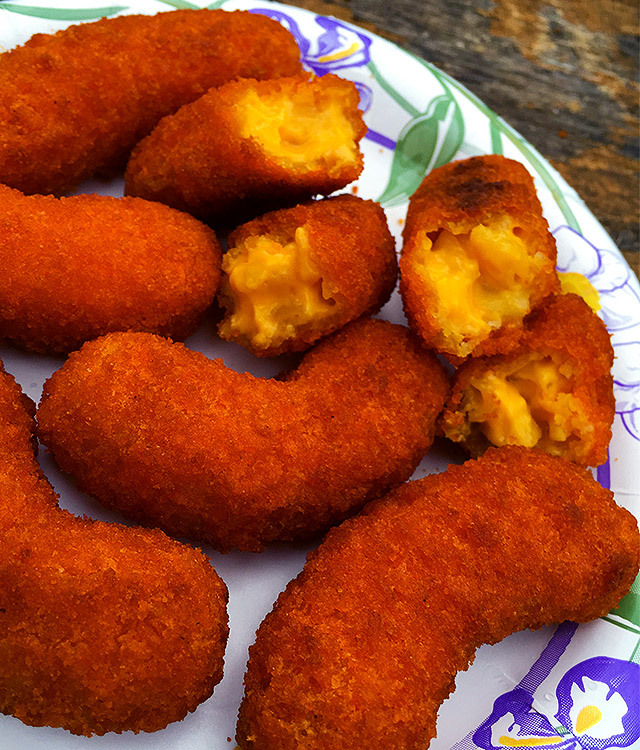 For what amounts to mac-and-cheese trapped in fried Cheetos dust, these are downright elegant. 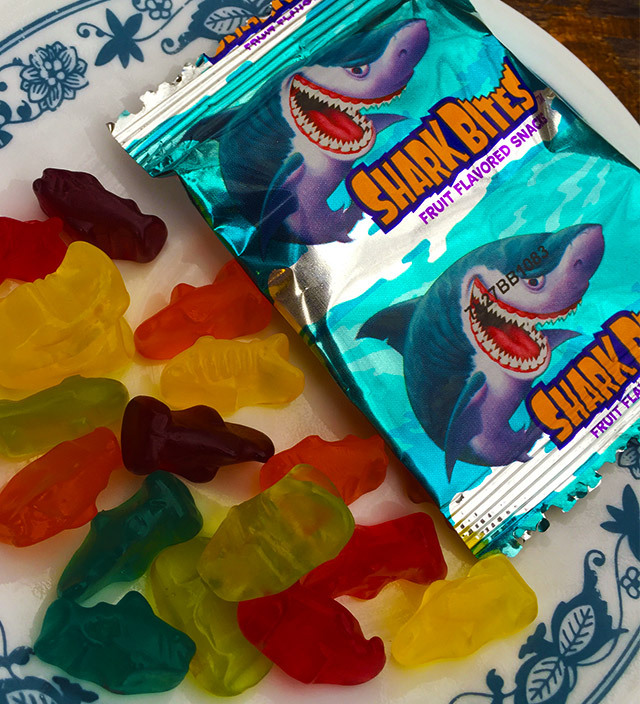 These aren’t new, obviously, but since I just posted that tribute to Shark Bites, I figured I’d remind you that the fruit snacks still exist! No, they’re not as good as the original versions. 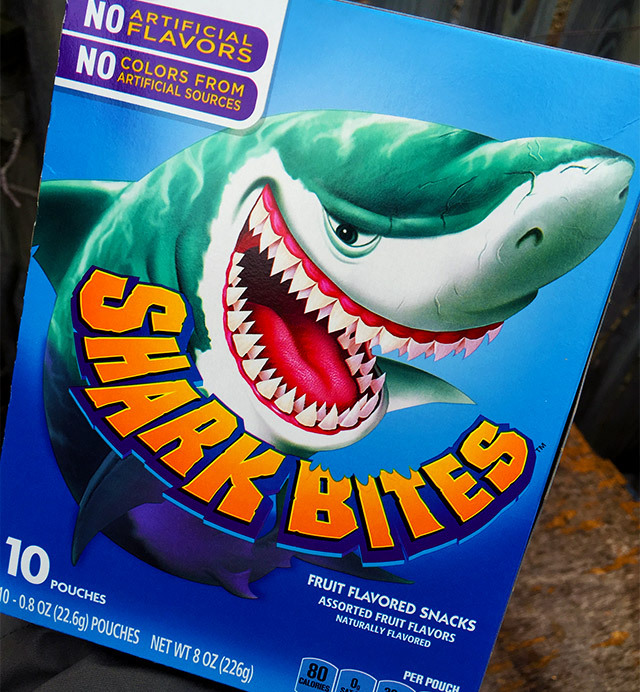 The shark shapes are less defined, the flavor isn’t so deliciously wine-like, and the snacks lack the firmness that made OG Shark Bites so easy to play with. They’re not “bad,” but they’ve lost a step. On the bright side, it will never not be fun to pretend I’m some undiscovered oceanic leviathan who eats full-grown sharks for lunch. Sometimes I even roar, as undiscovered ocean leviathans are wont to do. GRADE: B-. I’m glad that Shark Bites are still around, but this admittedly feels like a “budget” version. Course, it’s a budget version that I cannot stop eating. Thanks for reading. Now go buy a bunch of garbage and binge-watch something with no gross-out scenes.